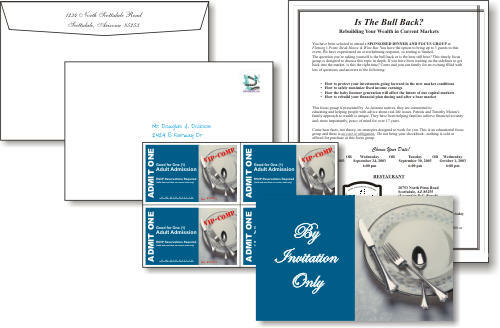 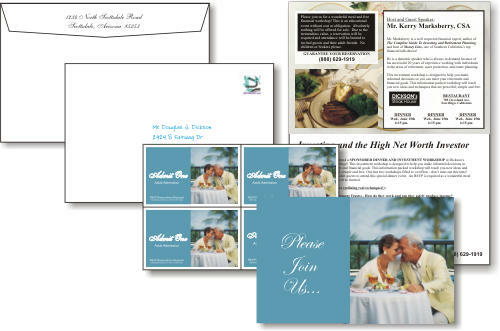 Letter Style Seminar Invitations with Full View Window Envelopes. 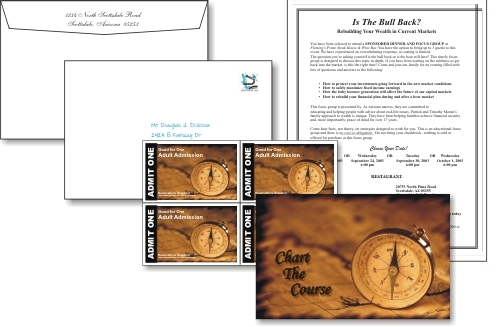 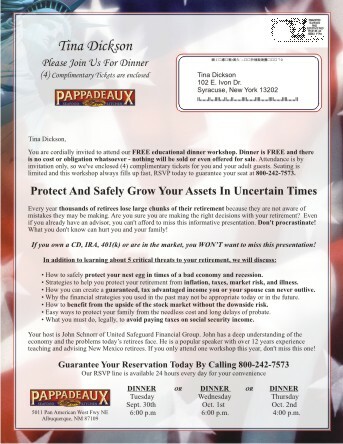 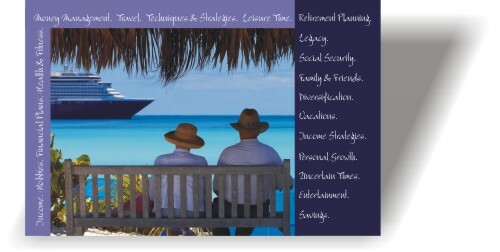 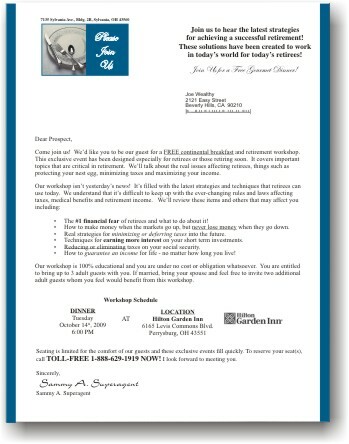 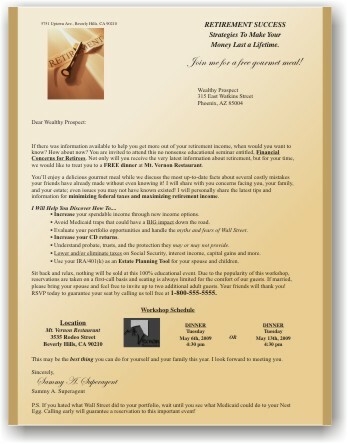 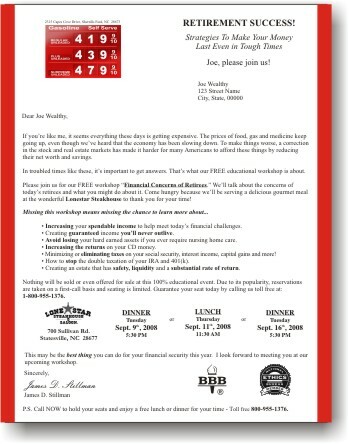 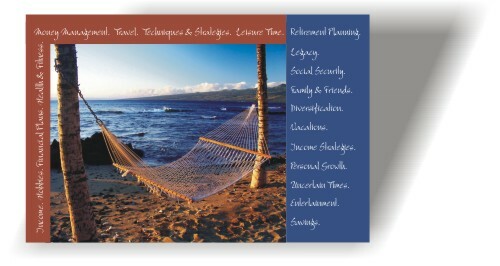 With over 50 full view window designs to choose from, you're sure to find the perfect invitation for your next seminar. 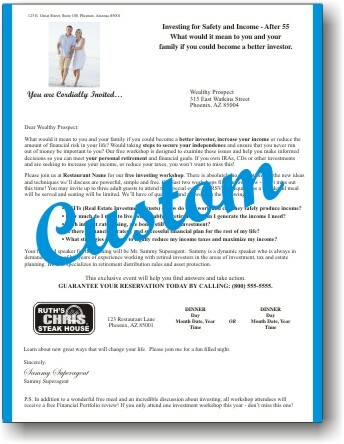 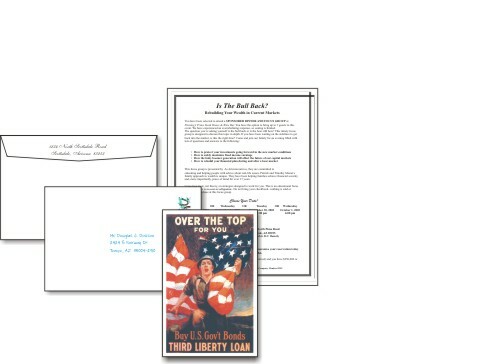 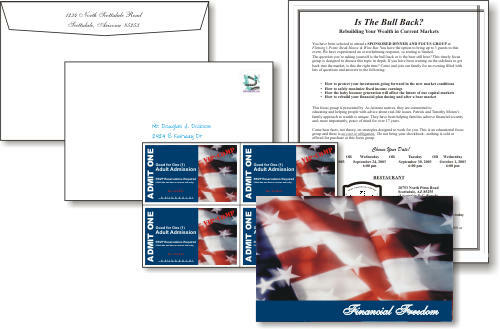 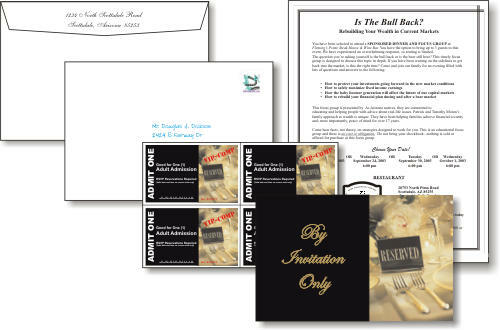 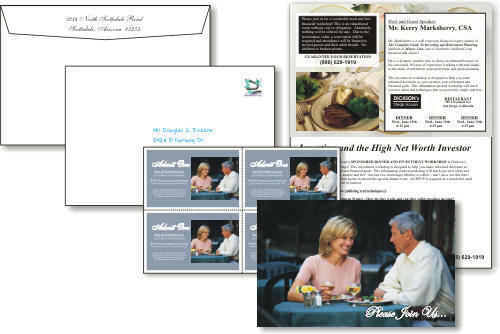 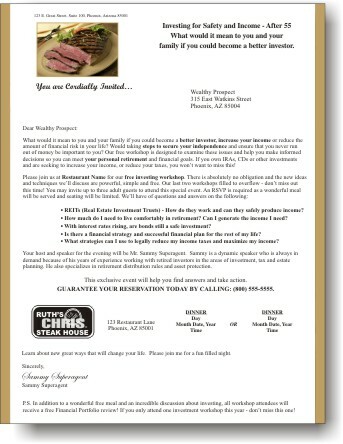 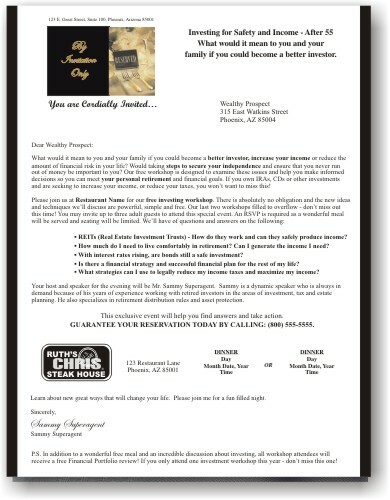 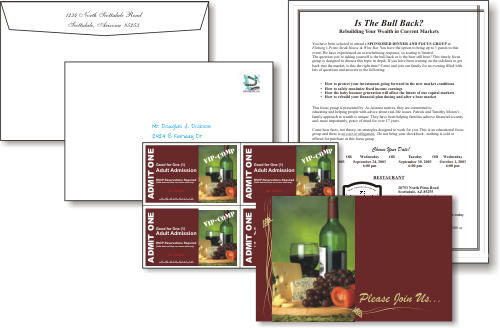 Our letter style mailings include beautiful full color invitations printed on high quality paper that is personalized with the prospect's name in up to three locations, a bio card showcasing your unique qualifications in a full window envelope that produces consitently high response rates. 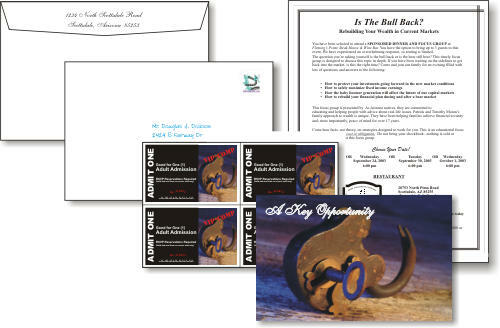 Some specialized designs vary, but all include postage, the industry's best address lists, professional copywriting and consultation from one of our seminar specialists. 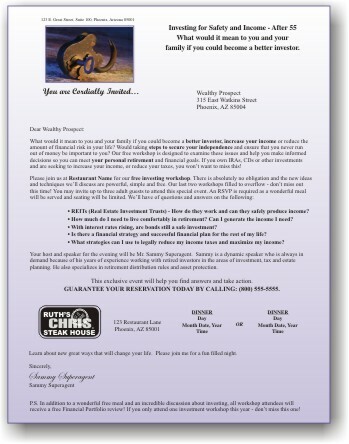 If you have any questions, please contact one of our friendly team members at 888.629.1919.